Q. 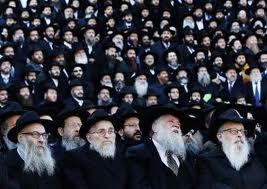 What is it about rabbis that makes it so hard to find a suitable one for our synagogue? A. If I believed in old jokes I would simply say the rabbinate is not a job for a Jewish boy. But the subject is too serious to be brushed aside with tired witticisms that were never really witty anyhow. The paradox is that more people than ever before are learning Torah, but less and less want to be community rabbis. Some taste the profession and give it up after a few years. One former rabbi used to say, “I was a pulpit rabbi for twenty years – and then I went straight!” One explanation is that the life is hard, it tells on the rabbi and his family, and it constantly upsets you when your community is unresponsive to your message of piety and prayer. The community judges its rabbi by his television charisma, his platform oratory, his tolerance (especially towards his congregants’ transgressions), his ability to mix, mingle, and tell jokes. The rabbi judges himself by his ability to be a man of Torah and to convey the timeless teachings of the tradition. Both sides find the other wanting and quickly determine to divorce one another. Whom do I blame? The community, for being unfair and making a mockery out of the rabbinic profession – especially for calling the rabbis spiritual leaders and not letting them lead. The, rabbi for not always being prepared to take a long-haul view and realising that true progress is bound to be slow. The elder statesmen on both sides, for not properly mentoring the rabbi and the community. I also blame the more religious and learned groups within the community. So what if they think they could do a better job than the rabbi? If they are so competent and clever, let them try being the rabbi for a change. The Rav of Lublin was once asked where he expected to find rabbinic positions for his 300 yeshivah students, and he replied, “I don’t want them all to be rabbis; I want one to be a rabbi and the other 299 to be supportive and helpful”.